The future is here... Why Unico? No big bulky ductwork, equipment and air grills. Unico systems fit where a normal system won't. The ductwork is smaller with a higher velocity. It requires little or no build-out to install. 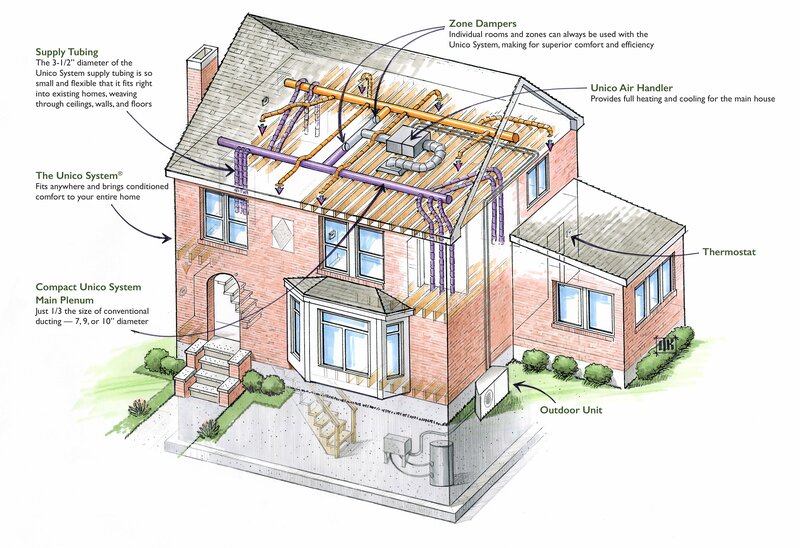 Instead of the intrusive ductwork of conventional HVAC, or placement of unsightly high-wall units (that usually must be mounted on the outer walls of a home), we run flexible supply tubing through wall cavities, in floors and ceilings.